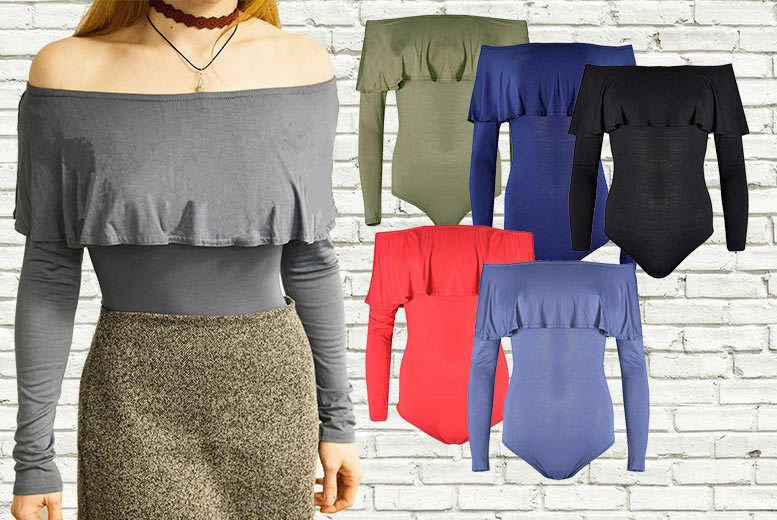 Look fab in a long-sleeved bodysuit. With a frill off-the-shoulder design. Perfect when paired with a pair of jeans. For that cool, casual stylish look. Select from four sizes and five colours (see full list below).